The fans could enjoy quite many interesting games in the last day. The day ended with defeat of the leader. Here is the last day review presented by ESL. The most crucial game of the last day was a loss of Windy City Bulls (26-21) in Hoffman Estates on Tuesday night. Hosts were rolled over by Magic (30-18) 141-109. 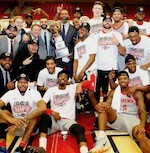 It ended at the same time the three-game winning streak of Windy City Bulls. Magic made 21-of-24 free shots (87.5 percent) during the game. They looked well-organized offensively handing out 27 assists comparing to just 14 passes made by Windy City Bulls' players. Forward Amile Jefferson (206-93, college: Duke) orchestrated the victory with a double-double by scoring 33 points (!!! ), 16 rebounds and 5 assists. Guard Troy Caupain (193-95, college: Cincinnati) contributed with 22 points and 5 rebounds for the winners. Guard Walter Lemon-Jr (190-92, college: Bradley) replied with 24 points and 4 assists for Windy City Bulls. The winner was already known earlier in the game, so both coaches allowed to play the bench players saving starting five for next games. Magic maintains first position with 30-18 record which they share with defeated Windy City Bulls. Windy City Bulls at the other side still keep top place with 21 games lost. An interesting game for Clippers (25-22) which played road game in Greensboro against their close opponent Greensboro Swarm (22-25). Third ranked Clippers managed to get a 10-point victory 115-105. Forward Johnathan Motley (206-95, college: Baylor) had a double-double by scoring 27 points, 13 rebounds and 4 assists to lead the charge for the winners and Desi Rodriguez chipped in 19 points and 8 rebounds during the contest. Guard JP Macura (196-95, college: Xavier) responded with 23 points, 7 rebounds and 4 assists (was perfect 8-for-8 from the free throw line). Both coaches used bench players which allowed the starters a little rest for the next games. Clippers maintains third position with 25-22 record having six points less than leader Windy City B. which they share with defeated Greensboro Swarm. Greensboro Swarm at the other side keeps the third place with 25 games lost. An interesting game for OKC Blue (32-16) which played road game in Sioux Falls against 3rd ranked Sioux Falls Skyforce (23-24). First ranked OKC Blue had an easy win 130-112. Hamidou Diallo notched 26 points and 8 rebounds to lead the effort. OKC Blue's coach used an eleven-player rotation and allowed the starting five to rest. Even 36 points (!!!) and 7 rebounds by Duncan Robinson did not help to save the game for Sioux Falls Skyforce. OKC Blue maintains first position with 32-16 record. Sioux Falls Skyforce lost tenth consecutive game. They keep the third place with 24 games lost. An interesting game for Austin Toros (20-28) which played road game in Frisco against one of their biggest challengers Texas Legends (16-33). Third ranked Austin Toros managed to get a 4-point victory 121-117. The best player for the winners was Drew Eubanks who had a double-double by scoring 22 points, 12 rebounds and 6 blocks. Austin Toros' coach allowed to play the deep bench players in such tough game. Austin Toros maintains third position with 20-28 record having ten points less than leader Windy City B. Texas Legends at the other side keep the fourth place with 33 games lost. An interesting game for Hustle (29-20) which hosted in Southaven their close opponent Salt Lake City Stars (26-23). Second ranked Hustle managed to get a 4-point victory 131-127. Tyler Dorsey orchestrated the victory by scoring 34 points (!!! ), 8 rebounds and 4 assists (was perfect 9-for-9 from the free throw line !!!). Both coaches tested many bench players in such tough game. Hustle have an impressive five-game winning streak. They maintain second position with 29-20 record behind leader Windy City B. which they share with defeated Salt Lake City Stars. Loser Salt Lake City Stars keep the second place with 23 games lost. In the last two games of day 122 Ft.Wayne MA beat Wisconsin H. on the road 105-100. Iowa W. won against NAZ Suns on its own court 115-105. No shocking result in a game when third ranked Fort Wayne Mad Ants (22-26) beat 5th ranked Herd (12-36) in Oshkosh 105-100 on Tuesday. Fort Wayne Mad Ants forced 19 Herd turnovers. Forward Alize Johnson (206-96, college: Missouri St.) orchestrated the victory by scoring 20 points and 9 rebounds. Guard Edmond Sumner (198-95, college: Xavier) contributed with 15 points, 9 rebounds and 4 assists for the winners. Guard Michael Qualls (197-94, college: Arkansas) replied with a double-double by scoring 22 points, 12 rebounds and 4 assists and Jamaican center Shevon Thompson (213-93, college: George Mason) added 14 points and 12 rebounds in the effort for Herd. Both teams had five players each who scored in double figures. Herd's coach rotated ten players in this game, but that didn't help. Fort Wayne Mad Ants maintains third position with 22-26 record having eight points less than leader Windy City B. Loser Herd keeps the fifth place with 36 games lost. An interesting game for Clippers (25-22) which played road game in Greensboro against their close opponent Greensboro Swarm (22-25). Third ranked Clippers managed to get a 10-point victory 115-105. Clippers had a 42-31 advantage in offensive rebounds. Their players were unselfish on offense dishing 23 assists. Clippers brought some defensive toughness making 7 blocks. Forward Johnathan Motley (206-95, college: Baylor) had a double-double by scoring 27 points, 13 rebounds and 4 assists to lead the charge for the winners and U.S. Virgin Islands forward Desi Rodriguez (198-96, college: Seton Hall) chipped in 19 points and 8 rebounds during the contest. Guard JP Macura (196-95, college: Xavier) responded with 23 points, 7 rebounds and 4 assists (was perfect 8-for-8 from the free throw line) and guard John Gillon (183-94, college: Syracuse) scored 24 points and 7 assists. Both teams had four players each who scored in double figures. Both coaches used bench players which allowed the starters a little rest for the next games. Clippers maintains third position with 25-22 record having six points less than leader Windy City B. which they share with defeated Greensboro Swarm. Greensboro Swarm at the other side keeps the third place with 25 games lost. The most crucial game of the last day was a loss of Windy City Bulls (26-21) in Hoffman Estates on Tuesday night. Hosts were rolled over by Magic (30-18) 141-109. It ended at the same time the three-game winning streak of Windy City Bulls. Magic made 21-of-24 free shots (87.5 percent) during the game. They looked well-organized offensively handing out 27 assists comparing to just 14 passes made by Windy City Bulls' players. Forward Amile Jefferson (206-93, college: Duke) orchestrated the victory with a double-double by scoring 33 points (!!! ), 16 rebounds and 5 assists. Guard Troy Caupain (193-95, college: Cincinnati) contributed with 22 points and 5 rebounds for the winners. Guard Walter Lemon-Jr (190-92, college: Bradley) replied with 24 points and 4 assists and forward VJ Beachem (203-95, college: Notre Dame) added 20 points (on 7-of-9 shooting from the field) in the effort for Windy City Bulls. Five Magic and four Windy City Bulls players scored in double figures. The winner was already known earlier in the game, so both coaches allowed to play the bench players saving starting five for next games. Magic maintains first position with 30-18 record which they share with defeated Windy City Bulls. Windy City Bulls at the other side still keep top place with 21 games lost. An interesting game for OKC Blue (32-16) which played road game in Sioux Falls against 3rd ranked Sioux Falls Skyforce (23-24). First ranked OKC Blue had an easy win 130-112. OKC Blue dominated down low during the game scoring 74 of its points in the paint compared to Sioux Falls Skyforce's 52 and made 17-of-19 free shots (89.5 percent) during the game. OKC Blue forced 20 Sioux Falls Skyforce turnovers. They looked well-organized offensively handing out 24 assists. Guinean-American swingman Hamidou Diallo (198-98, college: Kentucky) notched 26 points and 8 rebounds to lead the effort and forward Kevin Hervey (206-96, college: Texas Arlington) supported him with 20 points and 10 rebounds. OKC Blue's coach used an eleven-player rotation and allowed the starting five to rest. Even 36 points (!!!) and 7 rebounds by swingman Duncan Robinson (203-94, college: Michigan) did not help to save the game for Sioux Falls Skyforce. Guard Charles Cooke (196-94, college: Dayton) added 26 points and 5 rebounds (was perfect 8-for-8 from the free throw line) for the hosts. Five OKC Blue and four Sioux Falls Skyforce players scored in double figures. OKC Blue maintains first position with 32-16 record. Sioux Falls Skyforce lost tenth consecutive game. They keep the third place with 24 games lost. The game between closely ranked teams ended with 5th ranked Northern Arizona Suns' (11-38) road loss to fourth ranked Wolves (20-29) in Des Moines 105-115 on Tuesday. Wolves outrebounded Northern Arizona Suns 48-30 including a 39-25 advantage in defensive rebounds. Guard Brandon Goodwin (188-95, college: FGCU) orchestrated the victory with a double-double by scoring 24 points, 5 rebounds and 11 assists. Forward Hakim Warrick (206-82, college: Syracuse) contributed with 22 points and 8 rebounds (on 9-of-10 shooting from the field) for the winners. Forward Aaron Epps (208-96, college: LSU) replied with 22 points and 7 rebounds and Sudanese-American guard Peter Jok (198-94, college: Iowa) added 20 points and 6 rebounds in the effort for Northern Arizona Suns. Four Wolves and five Northern Arizona Suns players scored in double figures. Northern Arizona Suns' coach rotated ten players in this game, but that didn't help. Wolves have a solid three-game winning streak. They maintain fourth position with 20-29 record. Northern Arizona Suns lost fourth consecutive game. They keep the fifth place with 38 games lost. An interesting game for Austin Toros (20-28) which played road game in Frisco against one of their biggest challengers Texas Legends (16-33). Third ranked Austin Toros managed to get a 4-point victory 121-117. Austin Toros players were unselfish on offense dishing 26 assists. They brought some defensive toughness making 11 blocks. 24 personal fouls committed by Texas Legends helped opponents get some easy free throw opportunities. The best player for the winners was forward Drew Eubanks (208-97, college: Oregon St.) who had a double-double by scoring 22 points, 12 rebounds and 6 blocks. 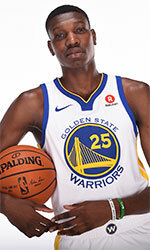 Nigerian-American forward Chimezie Metu (211-97, college: USC) chipped in 16 points, 8 rebounds and 6 assists. Austin Toros' coach allowed to play the deep bench players in such tough game. Canadian guard Xavier Rathan-Mayes (193-94, college: Florida St.) produced 28 points and 5 assists and swingman Xavier Johnson (201-93, college: Colorado) added 19 points and 13 rebounds (on 7-of-8 shooting from the field) respectively for the hosts. Four Austin Toros and five Texas Legends players scored in double figures. Austin Toros maintains third position with 20-28 record having ten points less than leader Windy City B. Texas Legends at the other side keep the fourth place with 33 games lost. An interesting game for Hustle (29-20) which hosted in Southaven their close opponent Salt Lake City Stars (26-23). Second ranked Hustle managed to get a 4-point victory 131-127. Hustle made 23-of-24 free shots (95.8 percent) during the game. They looked well-organized offensively handing out 24 assists. Greek-American Tyler Dorsey (193-96, college: Oregon) orchestrated the victory by scoring 34 points (!!! ), 8 rebounds and 4 assists (was perfect 9-for-9 from the free throw line !!!). Guard Jevon Carter (188-95, college: W.Virginia) contributed with 17 points and 6 assists for the winners. Forward Tyler Cavanaugh (206-94, college: G.Washington) replied with a double-double by scoring 24 points and 10 rebounds and guard Grayson Allen (196-95, college: Duke) added 20 points and 5 rebounds in the effort for Salt Lake City Stars. Both teams had five players each who scored in double figures. Both coaches tested many bench players in such tough game. Hustle have an impressive five-game winning streak. They maintain second position with 29-20 record behind leader Windy City B. which they share with defeated Salt Lake City Stars. Loser Salt Lake City Stars keep the second place with 23 games lost.